New Shark Raw Helmet Released! Raw. Picture the first thing that comes to mind. Does it look as good as this? 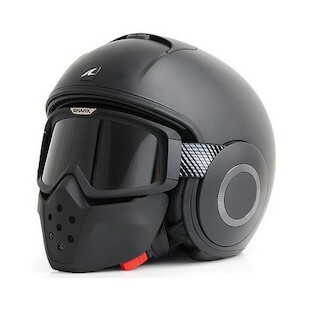 Coming quick on the heels of the Bell Rogue helmet, the Shark Raw Helmet is the latest in urban aggressiveness. Using an innovative goggle and face-mask design, the Shark Raw can be worn as a 3/4 helmet with full face coverage. With the front assembly flipped up it acts like a modular, giving more air to the face. More to come on the Shark Streetfighter Raw Helmet as we find out. Check back on the product detail page for updates.